Monday evening saw the annual Maryland General Assembly Crossover Deadline come and go with several major bills crossing from the Senate to the House of Delegates for consideration. The General Assembly Crossover Deadline is the benchmark for both the Senate and the House of Delegates to send legislation that it plans to pass to the opposing chamber. If a piece of legislation does not pass its originating chamber by the Crossover Deadline, it typically faces an additional hurdle of passing through the Rules Committee of its opposing chamber before being assigned to the appropriate standing policy committee for consideration. This deadline is put in place to ensure that legislation has sufficient time for consideration in both chambers of the General Assembly. 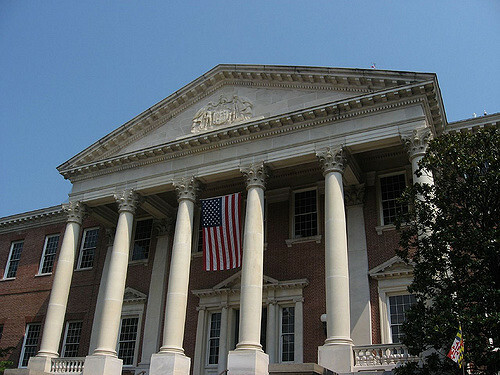 Among the major pieces of legislation passing the Senate before the deadline were bills to increase Maryland’s minimum wage, raise Maryland’s tobacco purchase age from 18 to 21, and ban styrofome food packaging products. The Senate versions of these bills now head to the Maryland House of Delegates for consideration. Thus far the Maryland Senate has seen the introduction of 1,048 bills while the House of Delegates has seen the introduction of 1,427 bills. Additionally both chambers saw the introduction of 16 joint and simple resolutions. Different from regular bills, these resolutions are designed to affect public policy by expressing an opinion or recommendation of the General Assembly and must pass both chambers. Including both the bills and resolutions from the Senate and the House of Delegates, some 2,491 pieces of legislation have been offered for consideration before the General Assembly thus far in this legislative session. All legislation must navigate the committee process and successfully pass both the Maryland Senate and the Maryland House of Delegates by Sine Die on Monday, April 8th to be sent to Governor Hogan to be approved or vetoed.